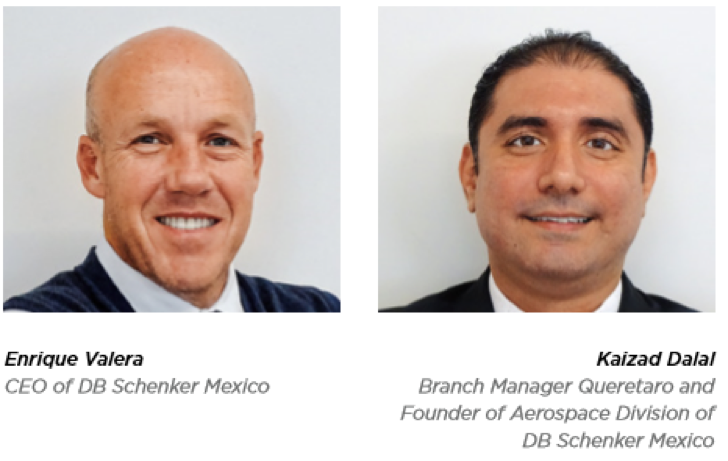 Q: What is Mexico’s role in DB Schenker’s global network and what are your expectations regarding the company’s development? EV: We are part of the Americas region, which includes all operations from Canada to Argentina and Chile. Across the entire region, Mexico is the third-strongest participant in terms of bottom-line results, after the US and Canada. If we analyze DB Schenker’s results on a global scale, the strongest regions are Europe and Asia. The Americas represent only 20 percent of the company’s bottom-line numbers, with Mexico contributing 5 percent. We hold 3 percent of the air freight market, between 2 and 3 percent of the sea freight market and less than 1 percent in land transportation. Five years ago, Mexico’s participation in our global operations was less than 1 percent, which shows our significant growth and the important role we play in the company’s international strategy. Furthermore, in the past three years, DB Schenker Mexico has doubled its topline results and we expect that by 2018, the country will generate approximately US$200 million in revenue. Q: What changed in the last five years that allowed DB Schenker to grow from 1 percent to 5 percent participation in the company’s global operations? EV: DB Schenker Mexico has always been a profitable organization. We focus on logistics services, mainly on air and ocean imports and exports. That being said, we are also strong contenders in contract logistics services, land transport, as well as in Air and Ocean products. Our performance for the past 20 years has been positive and stable, although our growth has been slow. We turned that around over the last five years with structural changes to our sales organization and also by opening new locations. This transformation also triggered a change in mindset within DB Schenker Mexico and it has led to significant growth to 700 employees from the previous 220 we had in 2014. Our new structure has also helped us approach new clients. Within the aerospace sector, the opening of our Queretaro branch was a milestone to connect with potential collaborators, supported by the reinforcement of our operations in land transport in Mexico and the NAFTA region. Q: What are the main strengths of DB Schenker’s operations in Queretaro and how are you supporting the local production chain? KD: We have a dedicated team that works directly with our clients in the aerospace sector and is available 24/7 to address any concerns companies may have. We started this division in 2004 and we were among the first logistics providers to target this segment with a specialized service. 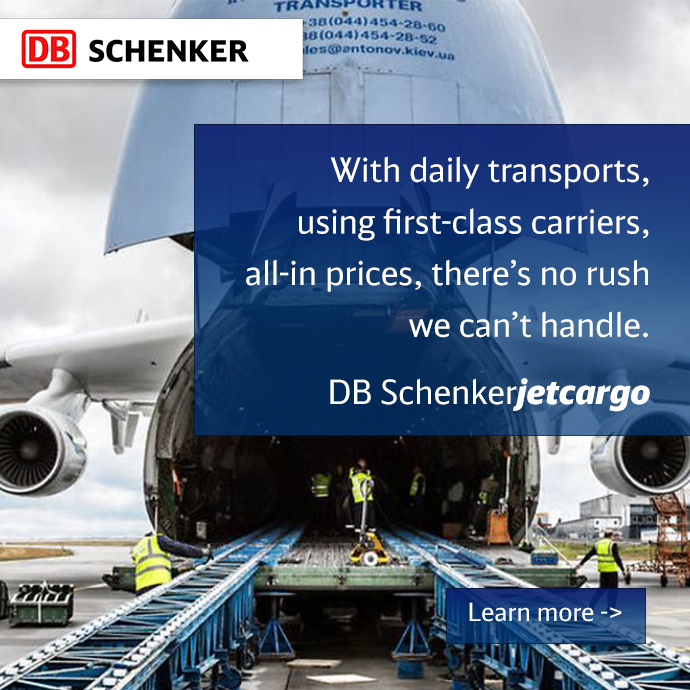 After DB Schenker acquired BAX Global, we had an aircraft fleet at our disposal. We put one of these planes in Queretaro to support a major aircaft manfacturer, which had also just arrived to the state in 2004. This strategy has paid off and today most companies in the sector know DB Schenker and its operations. The aerospace industry has its own language and we have formed a team with experience in MRO, OEM and airline activities to understand what our customers need. This specialization is what has allowed us to grow in this market. In addition, we have established a daily roundtrip service between QRO and MEX airport to serve our customers with a fast and competitive service. Q: What are the company’s plans to establish another division in Sonora or Chihuahua? KD: Our goal is to have a centralized operation for the whole country. We already have a 24/7 AOG-Desk (Aircraft on Ground) based in Queretaro with an entire team around it. We still have room for growth in our operations and to support other aerospace clusters we must first strengthen our position in the country. We also need to establish new commercial relationships with clients in the north of Mexico before thinking about opening a new branch. We already work with other companies based in the north but we can still manage their operations from Queretaro and through our team based in the Mexico City International Airport. EV: Growing our client base in the north of the country is among our priorities to sustain continuous growth and for that, we will lean on our offices in the US. We have two projects currently in the pipeline. We are competing in the tenders to win these two projects and we expect the results to be announced soon. Q: Why should an aerospace manufacturing company choose DB Schenker as its main logistics provider? KD: The main reason is that we are the most specialized company in aerospace logistics in Mexico. We are pioneers in the sector and a benchmark in solutions for these companies. Our CEO in Germany has outlined a global strategy called Primus that states DB Schenker’s goal of becoming a leader in the logistics sector and the fastest-growing freight-forwarder by 2020. To reach that objective, everyone from our top managers to our ground floor operators must be aligned to a performance-driven and service-oriented operation. Although there are still areas of improvement, our success shows that we are on track. Clients are always looking to team up with the best and we consider ourselves that. Q: How will NAICM affect your operations? EV: We must first have the certainty of the timeframe in which the project will be concluded. Today, we have offices close to Mexico City International Airport and also in the customs area to supervise our clients’ imports and exports. Whenever the airport moves, we will move. However, we cannot plan anything without knowing what will happen with the project. Q: What are the main challenges DB Schenker faces to continue growing? KD: Our main challenge is understanding our clients’ needs, particularly in the north where we are looking to grow our footprint. Most of the aerospace companies in this region are part of the IMMEX program, which means that imports and exports are crucial activities for them. Most of our competitors are already targeting the region, so our job is to identify what added value we can offer to potential customers. Our sea freight services to Ensenada are a clear example of the benefits we can bring to companies. This is a service that most clients are looking for but few logistics providers offer. 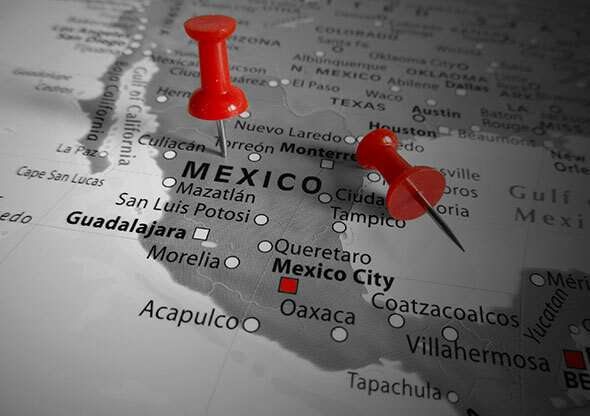 We analyzed the demands from customers in Tijuana and Chihuahua, and we came up with specialized services to ship components not only to the US but to Europe as well. We also give clients more options to move their shipments through ports like Altamira, instead of using ports in the US. This made processes more efficient and reduced transport times. 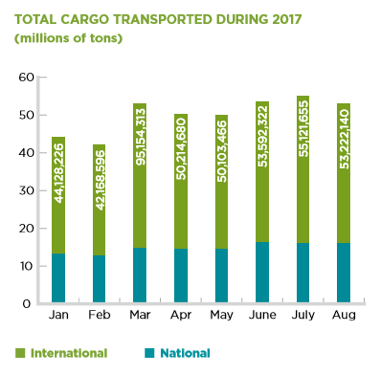 Q: How much did your air freight operations grow during the first half of 2017? EV: Compared to our 2016 results, our operations increased by 18 percent. We expect this number to be maintained till the end of 2017 but our forecast for 2018 is to grow at least 20 percent. In past years, we have been growing faster than the market and gaining market share. We expect this trend to continue for the coming years, while maintaining a stable profit margin. Q: What are DB Schenker’s priorities for 2018? EV: We are driven by our budgets and our previous results. Besides our 20 percent growth expectations in our bottomline numbers, we also expect a 16-17 percent increase in our top-line figures. This means that we have to be innovative and conscious about our costs and investments, enabling us to be very aggressive in the pricing structure we establish for our customers. KD: Our human capital is also a top priority for the company. Globally, almost 40 percent of our expenses are related to training, career planning, labor turnover minimization and other similar activities. We do not own any assets, so the best resource we can offer clients is our people. ** This article was originally written by Mexico Business Publishing and has been edited from the original.